The reference program EndNote, by Thomson Reuters, is used by a large number of students and employees at UiT the Arctic University of Norway. The "X7" version of the program has long been in use, and is still used by some to this day. However, a while back, version "X8" of the program was introduced. 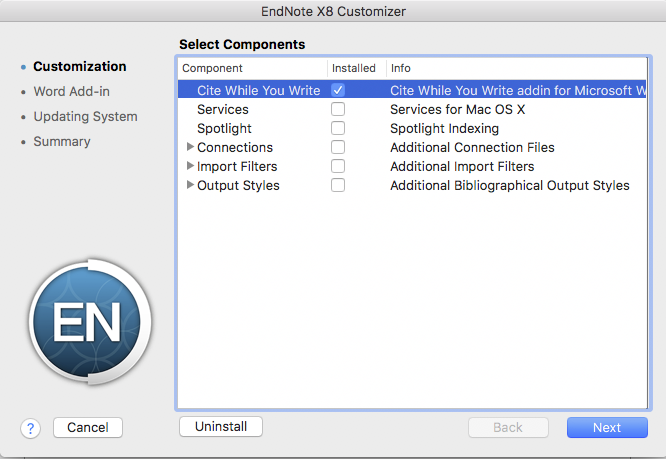 After making the leap from using the X7 version to the X8 version, some users have experienced that after installing EndNote X8, the EndNote-tab in Microsoft Office Word's tool bar is no longer visible. This issue can be solved by following the guide below. The guide below applies to private Mac computers, as well as UiT-installed ones. Press "EndNote X8" in the top left corner. Press "Customizer" in the drop-down menu . Check the "Cite While You Write"-box and press "Next". Click "Customize..." as marked in the picture below, and then"Next". 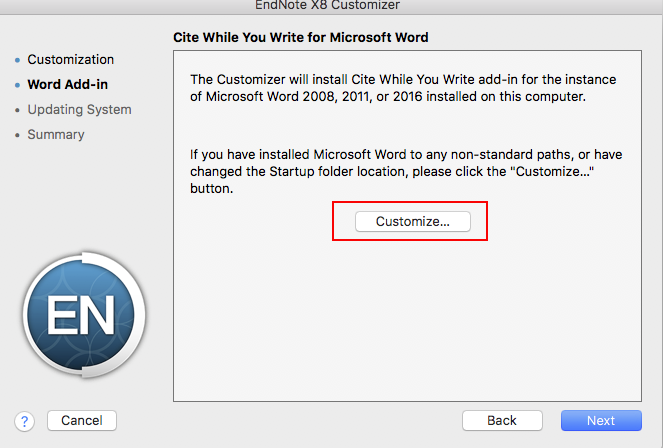 Choose the version of Microsoft Office in which you wish to install the Endnote tab. 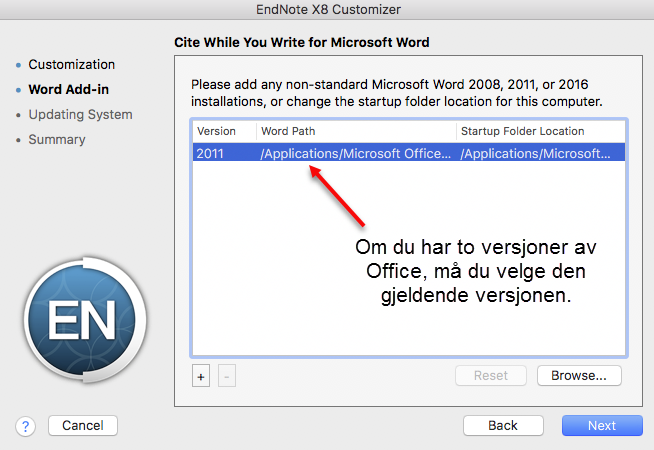 You will only be met with two options if you have a previous version of Office installed (2011), and also the Office 2016 version. Let the process run it's course, and finally, press "Done". You can now start Word again, and the EndNote tab should appear.